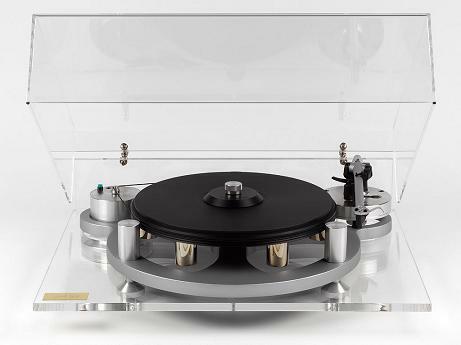 We are proud to present once again on demo the Michell Gyrodec, arguably the most iconic of all hifi components. Its form and function rivals anything from the Eames stable, its appearance undeniably mid-century modern. Its creator, the late J.A. Michell, founded an engineering company that provided services to the film industry in the 60s, including the design of space crafts for Stanley Kubrick's 2001 - A Space Odyssey. No doubt this was why the GyroDec appeared in "A Clockwork Orange" by Kubrick. The continued worldwide success of Gyrodec is another indication that The Vinyl Revolution continues. Join the revolution.